I decided to upgrade the tool rack in my Dutch tool chest. I’m an avid reader of Chris Schwarz Lost Art Press blog and a while back he posted this blog entry – The One in Which I am Slapped by Someone. 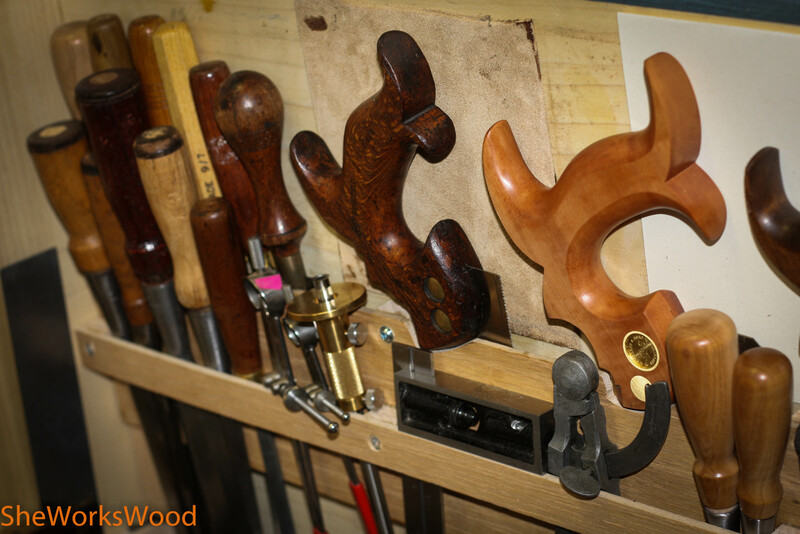 In this blog post, he details how this design allows a more flexible tool storage. I created a double layered version to hold both tools and saws. 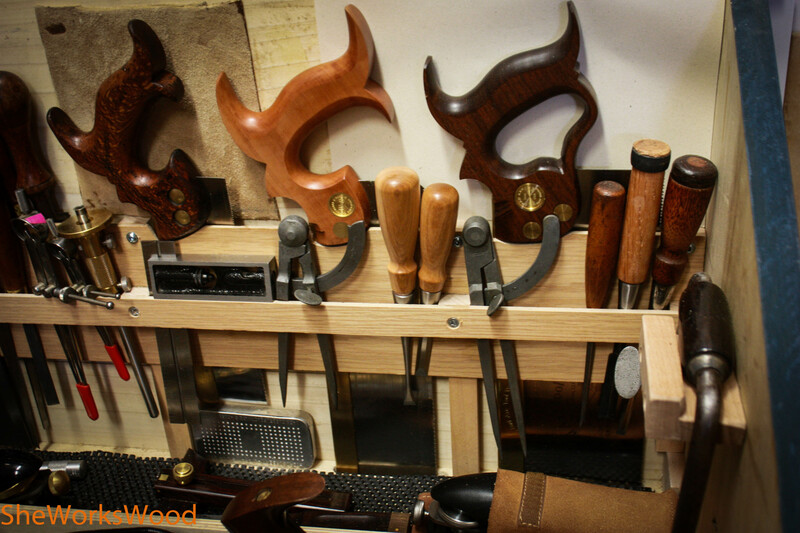 The chisels I have stored in the chest aren’t my regular chisels, but a few specialty chisels that I have. When I travel, I’ll replace these with my daily use chisels. This arrangement also freed up some space to allow more roomy storage. 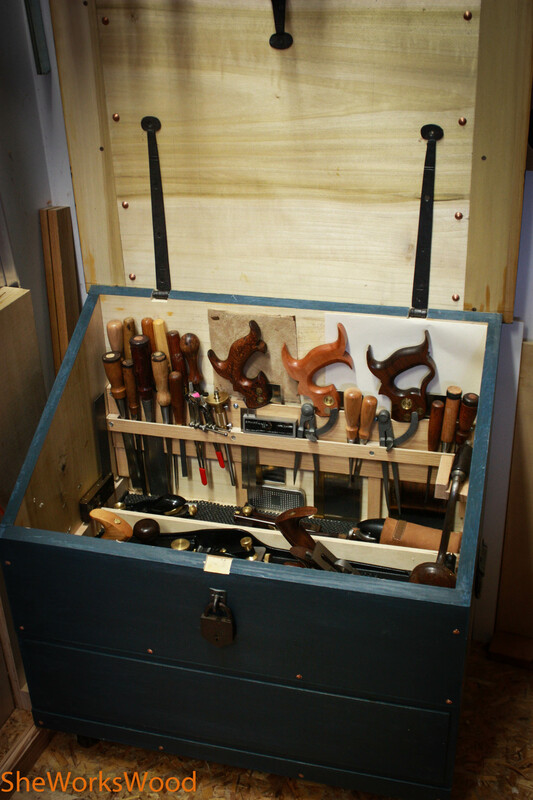 This entry was posted in Dutch Tool Chest, tool rack and tagged dutch tool chest, tool rack. Bookmark the permalink. there you go, messin’ with perfection once again. But . . . perfection improved! Looks nice. How do you like it so far? It’s working really well. 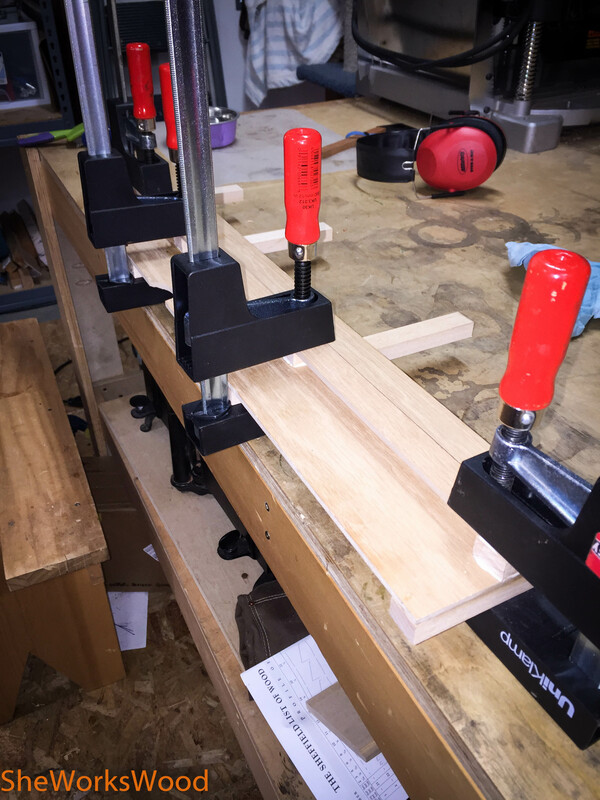 The 1/4″ strips bend slightly and allow me to keep the tools in place. Alright, I’ll reach back into my awkward teen years (almost 50-years ago) and say “Geeze, nice RACK Marilyn.” But seriously now, this is (will be soon) a HUGE improvement to my dutch tool chest. I really enjoy your videos and BLOG posts – thank you for the time and thought you devote to them. Bwah ha, ha!! You almost made me spew my drink. Hadn’t thought about it that way. And you’re most welcome. I’m so glad you found something useful. I like your implementation. Well Done! Since you have had your Dutch Chest for a couple of years now, how is to work out of? Do you find it limiting or restrictive in any way? 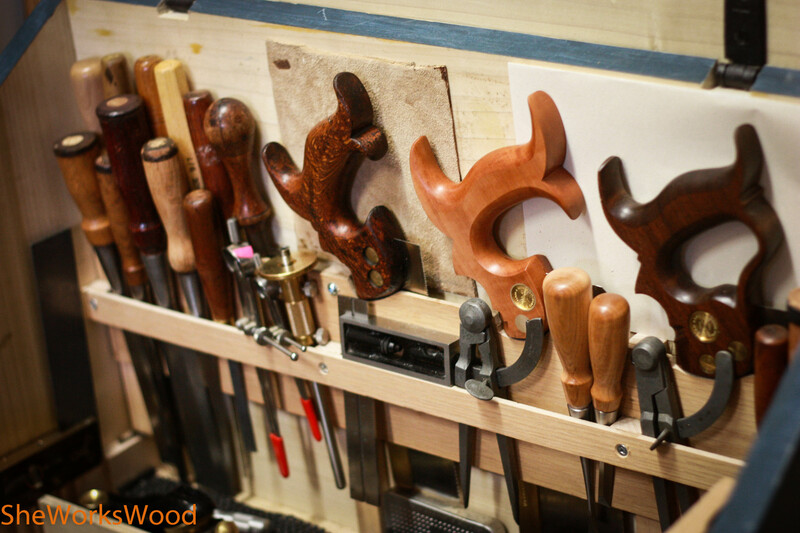 Do you have more tools that you use in addition to those in the chest? I am wondering what is is like to work out of a Dutch Tool Chest. Thank you! I’ve been traveling with my chest and using it daily. If was going to change it, I might make it bigger .. but then I wouldn’t be able to lift it. Raise it up and it’ll be a dream to work from.